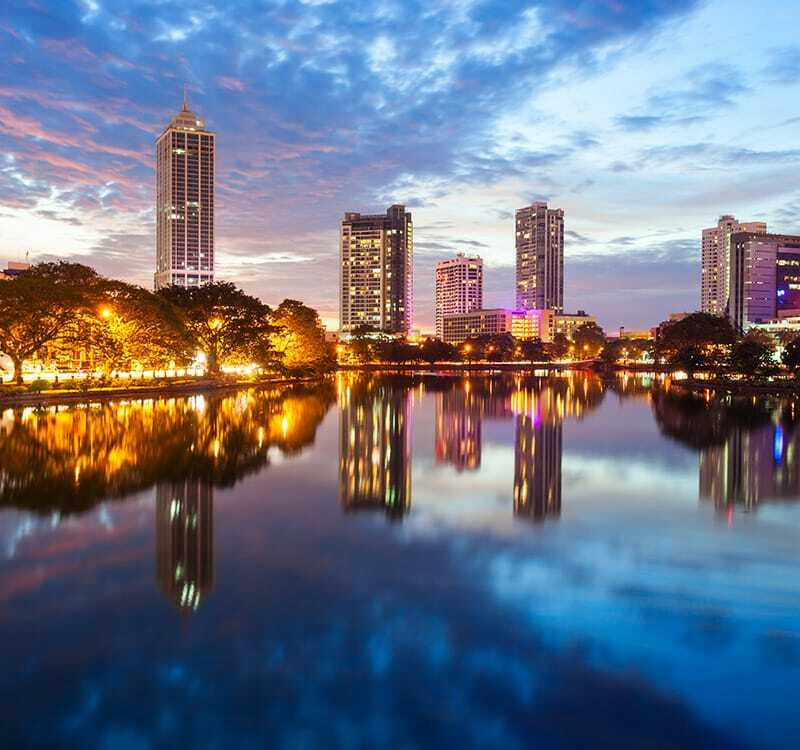 Colombo, Sri Lanka’s commercial capital and urban hub also known locally as Kolamba, is an intriguing hybrid of architecture and culture. Its geographical position has since of yore, been a point of attraction amongst a multitude of cultures and people, including traders and merchants from the days of the Silk Road. Today, its on-going development via expansive projects such as Port City, paves the way for not just a spectacular skyline, but also plenty more to experience in the near future. With its bustling streets intertwined with laidback boulevards, it can feel like there is not enough time to take in all of the city’s essence, but trained eyes and minds like ours at Uga Escapes, know exactly how and where to dig up hidden gems that bring to life the times of eras long past. From quaint alleyways in its heart and impressionable buildings retaining their original old-world architectural magnificence and grandeur to highly stylised and modern hotels and restaurants that line the streets, the city is a vibrant culmination of avant-gardism and tradition. Discovering them, is much like following a treasure map, with unexpected delights to be found in equally unanticipated corners. Aside from being influenced by the large influx of traders from many centuries ago, a variety of cultures hailing from India, Iran, Greece, Persia, Arab and China were also significant impacts along with the Portuguese, Dutch and British effects from when these nations invaded the land; the results of which can still be seen and experienced today. Perhaps what exemplifies its unique character even further, is the presence of numerous serene Buddhist temples, churches, mosques and kovils, each representing the country’s multi-ethnic status quite prominently. Gangaramaya Temple, Beira Lake, and the Red Mosque at Fort to name a few, are all must-visits on your trip. Additionally, if you would also like to experience the nightlife, Colombo has ample options for you to choose from, so go ahead and take your pick! Despite being more metropolitan however, Colombo also offers beachside respites, where you can easily escape for a refreshing beer whilst watching the sun set picturesquely over the Indian Ocean. Uga Escapes’ very own Residence by Uga Escapes is a highly sought after haven by many travellers looking to tuck themselves away in a peaceful nook, without compromising on modern comforts and amenities. And of course you should not leave without sampling a taste of traditional local street food, for which Galle Face is a primary spot loved by tourists and locals alike. Bag yourself some of Sri Lanka’s famed, aromatic and fresh spices at the street bazaars, whilst marvelling at the sheer choice and riot of colours present in the many stores selling an engaging variety of cloth and garments every few feet. Explore Colombo’s both widely known and hidden features with ease and personalised guidance for a distinctive, memorable getaway. Uga Escapes leads you down just the right roads and into the perfect locations to help our guests sample the best this exceptional city has to offer.